Contemporary knob with a flared base will bring extra style to your kitchen or bathroom decor. The Pinstripe knob adds functionality to cabinets and drawers while blending in with your bath or kitchen decor. Embodying the relaxed elegance of Art Deco design, this knob features strong lines and striking octagonal contours for distinctive style. This beautiful knob from the Seaside Cottage collection captures the beauty of a Pisces fish. Perfect for adding the feeling of a beach-side retreat to your kitchen or bath. Multiple finishes available. Installs easily with included hardware and is a noticeable change for any cabinetry. The Martha Stewart Living Modern 1 in. Bedford Nickel Ring Knob is made from metal for durability and is finished in Bedford nickel for a striking appearance. This knob is easy to grasp with a level surface and rose edge detailing. Easy installation with hardware included. Layers of round details add texture and depth to this Martha Stewart Bedford 1-3/16 in. Nickel Button Knob. The Bedford nickel finish easily blends with many decorating styles. Easy installation with hardware included. Contemporary Metal Knob 1 3/16 in (30 mm) Dia - Chrome - Copperfield Collection Contemporary knob with a flared base will bring extra style to your kitchen or bathroom decor. 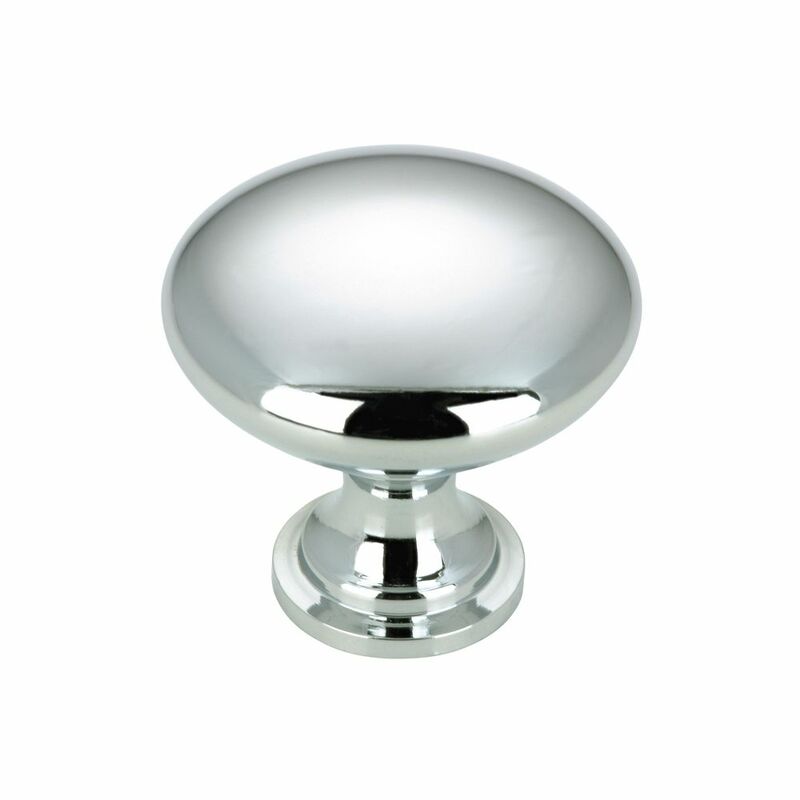 Contemporary Metal Knob 1 3/16 in (30 mm) Dia - Chrome - Copperfield Collection is rated 5.0 out of 5 by 2.